Lightly Dried Chives – 4gm – the closest thing to freshly chopped chives, with a refreshing difference……it says fresh for 4 weeks once opened. 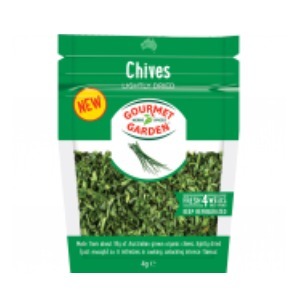 Made from about 18g of Australian grown organic chives which have been lightly dried, just enough, to refresh in cooking and unlock intense flavour. Ideal for sprinkling into potatoes or scrambled eggs and are perfect stirred through sour cream or soft cheese. It’s delicate, onion-like flavour pairs perfectly with basil, parsley, chilli, garlic, dill and oregano. 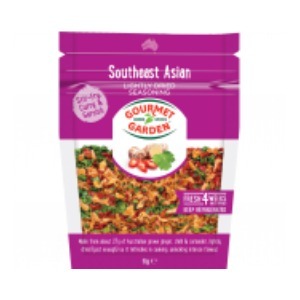 Southeast Asian Seasoning – 6gm – Inspired by the vibrancy and flavours of Vietnamese and Thai street food – a perfect blend of lightly dried coriander, ginger and chilli – perfect for adding instant colour and flavour to stir-fries, curries, satays, rice paper rolls and as a garnish for salads and noodles. 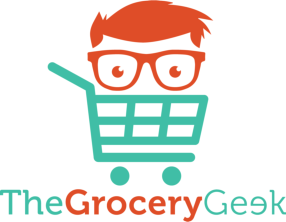 The exotic blend pairs perfectly with fish sauce, coconut milk, lime juice, soy sauce, cashews and oyster sauce.